Bangladesh is the most beautiful country of south Asia loaded with natural beauties and historical establishments. It has it’s two thousand years history or more. This nation has governed by Buddhist, Hindus, Muslim and British. There have a golden history of its past. 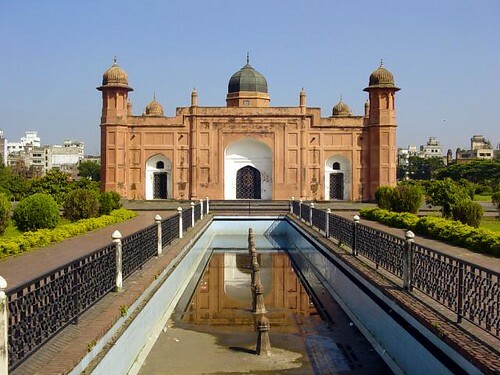 There are numerous historical spots in Dhaka, Rajshahi, Bogra, Dinajpur, Comilla and other piece of Bangladesh. Principle attractions are Mosque and Mazar, Hindu sanctuaries, Churches, Buddist Monastery and recorded structures. Bangladesh appears to be as like as God’s own gave painting. different colors, society and memorable sites are here and there in this little nation. So Bangladesh has been highlighted on the world’s tourists maps. Bangladesh Parjatan Corporation ( BPC ) published a short film Incredibly Beautiful Bangladesh – The School of Life regarding the most beautiful historical places in Bangladesh. There are two more Short films ( Beautiful Bangladesh – School of life & Beautiful Bangladesh – Land Of Stories ) to represent the beauty of Bangladesh. The Gour Gobinda Fort, Sylhet though in ruins is one of the preferred tourist destinations in and around the hillside town of Sylhet. The Gour Gobinda Fort stands as the testimony to the resistance the brave soldiers of the king Gour Gobinda. Its was destroyed By Sufi Saint Hajrat Shahjalal. who had come over from Delhi to preach Islam in Sylhet. Photo Source: yogsutra. Shat Gumbad/Gambuj Mosque is the largest of the Sultanate mosques in Bangladesh and one of the most impressive Muslim monuments in the whole of the Indian subcontinent. Photo Source: Dhaka Digest. Mainamati is a famous Buddhist archaeological site in Comilla. Marks of rich ancient civilization have been found in Lalmai Mainamati hills. Copyright@Sadik Shahriar. Bangladesh is nice city financially crises is over I would like know personally to see. I like it . Very nice…. Beautiful Bangladesh. Here are every historical place is amazing. I am really proud of Bangladesh.